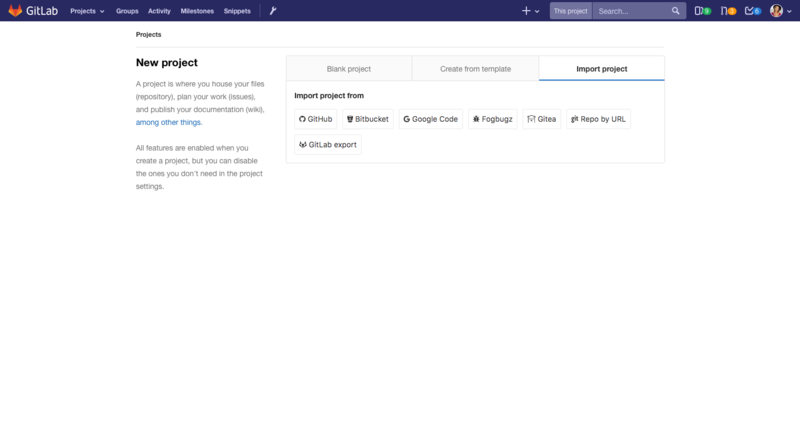 One of the first things you do as a user after you login into GitLab is create a new project. 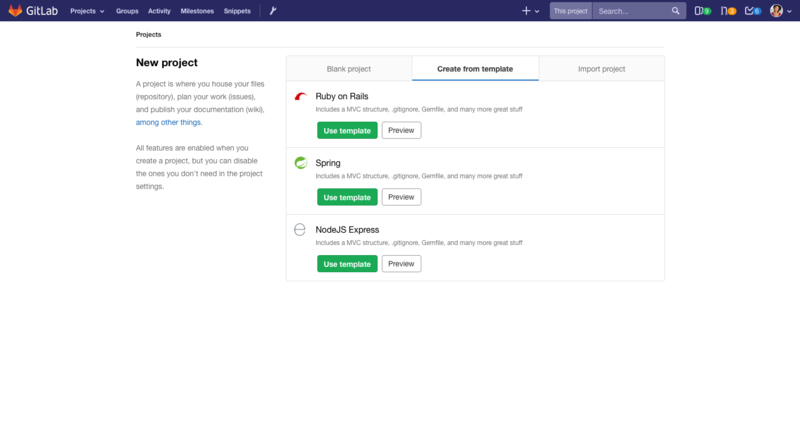 In GitLab 9.5, new project page is too complex. You are asked to make multiple decisions and the overall look of the page is overwhelming. 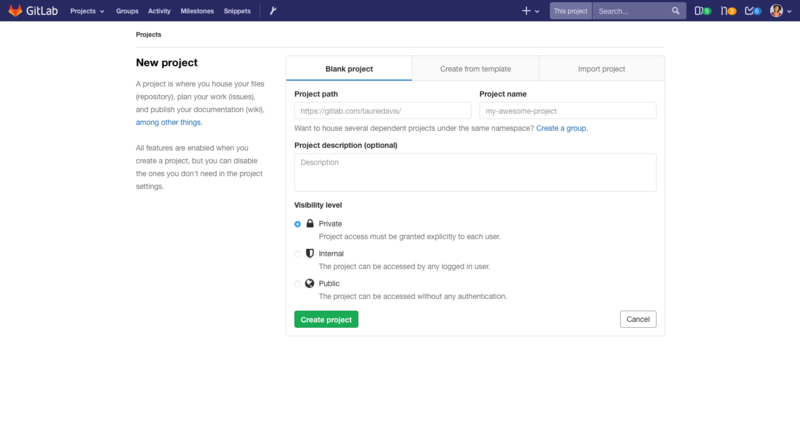 While having Project templates is convenient and having import options can be useful, they clutter the page significantly and together with the rest of the options (visibility selector, project description). It is very important that the first experience is great, especially when moving from other platforms. 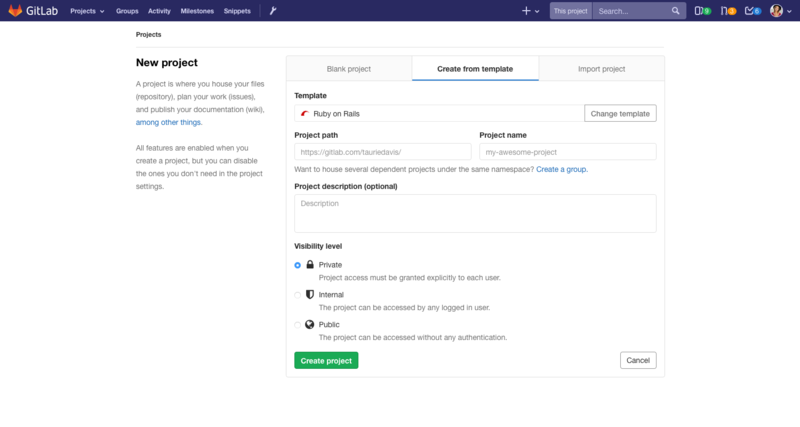 Create a 1-2-3 done type of division on the page: 1 - create a group - 2 import or select a template - 3 set the name, visibility and optionally description. I am sure that this is a duplicate issue but I couldn't find anything useful in the ~9k issues that we currently have. Move to a tabbed format that mimics the tabs seen on the member settings page. Page with uses our limit-container-width class.